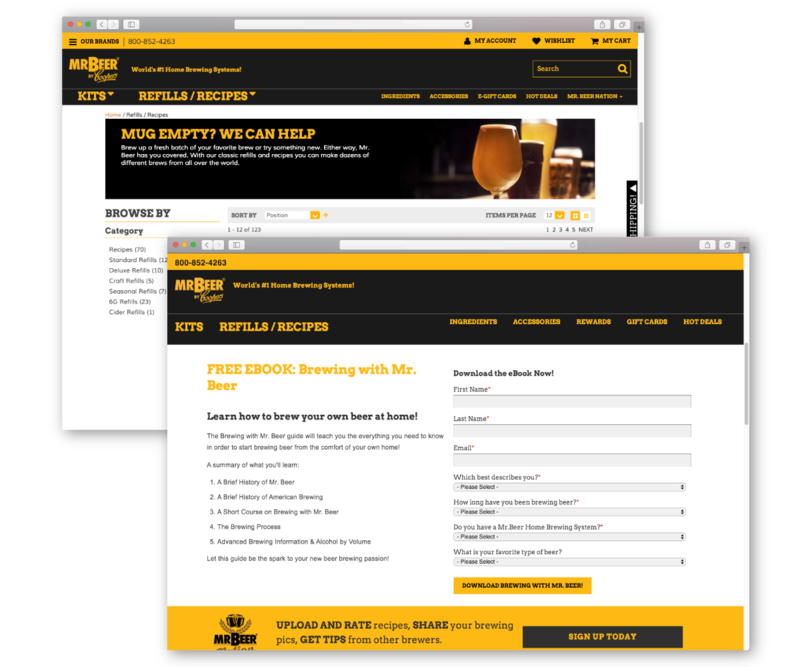 Mr. Beer is a successful online retailer that sells home brew beer kits. When they reached out to EYEMAGINE, they were already using effective marketing techniques and utilizing various HubSpot tools to increase their online traffic and revenue. However, their website had one significant issue: it was not integrated with its marketing platform. This inadequate integration led to insufficient automation that kept them from effectively inputting and analyzing their data. They had to manually input their customer data of over 350,000 contacts, a problem that led to lost revenue, severely depleted efficiency, and untargeted marketing efforts. Ultimately, our work earned W3's Silver Award, The Communicator Award, Davey's Gold Award and WebAward by WMA's award for Outstanding Website in 2015. 1. Generate contacts by creating gated content. Specifically, we housed product instructions, informative content, and exclusive giveaways behind landing pages. This helped Mr. Beer effectively nurture contacts and build a lasting customer base, as it provided them with the contact information they needed to follow up with and continue reaching out to potential customers in future email campaigns. To illustrate, the following is the 10th and last email in a buyer persona nurturing email sequence. Normally, the last email in a series gets the lowest engagement. However, because of our extremely targeted efforts, this campaign greatly surpassed industry standards. 3. Similarly, using the newly-integrated customer data that they already had and the new customer data gathered from gated content efforts, we were able to produce engaging content and promotions in order to increase site traffic. We created targeted content for social media, blogging, and email marketing. This increased their traffic 23% over the previous year. The problem with Mr. Beer’s previous strategy is that it was, overall unfocused, unsegmented, and as a result, unflattering. It’s simple: since they did not have the ability to automate their customer data and analyze it, they could not create effective, targeted content that spoke to the right people at the right time. Instead, they were left sending information that was off-putting, reaching people at the wrong stage of the buyer’s journey or providing them with content and information that they were not looking for. In today’s world of modern inbound marketing, this is a huge issue. Audiences today want to feel understood, and they want eCommerce retailers that they search for to “speak their language” and provide solutions to their problems. 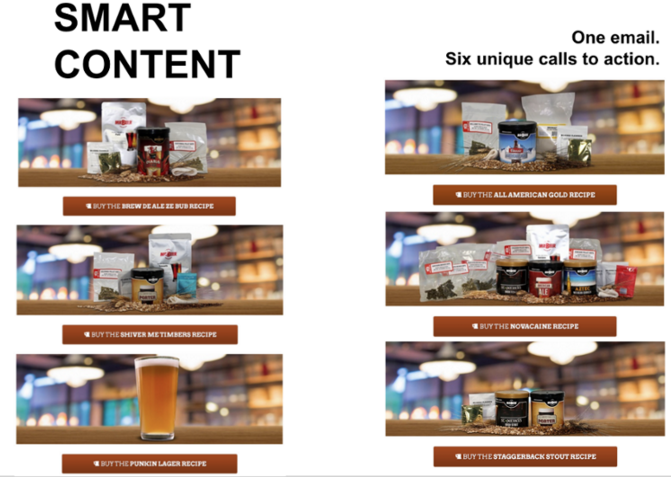 To take it one step further, we even used "Smart Content" to send contacts an email based on their individual preferences. 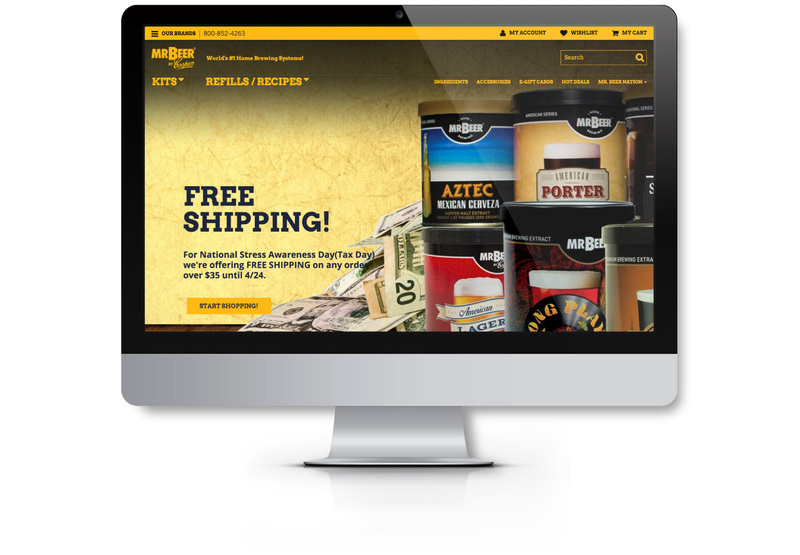 By creating a custom integration with HubSpot and Magento, the EYEMAGINE team was able to successfully understand Mr. Beer’s targeted buyer personas and effectively communicate with them, crafting multiple campaigns that far surpassed industry standards and overall, created a high-converting website for the online retailer.